Be prepared. You’ve probably heard this advice a hundred times. Be prepared for exams. Be prepared for life. Be prepared for disappointment. Be prepared for the rapture and/or zombie apocalypse (depending on who you’re talking to.) It’s an essential life exercise, one that we’re constantly practicing, or forgetting to do and regretting it later. Even on an emotional level, being prepared makes life easier, less stressful. That’s why we’ve prepared this guide to your next dentist appointment. Since most dentist appointments are checkups, that’s the kind of visit we’ll outline. You will be asked to fill out a health history. Why? While there are numerous ways that your health history could impact your visit to the dentist, consider this: Certain medications weaken the enamel on your teeth and could be the cause of decay. 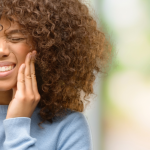 Certain health problems (like diabetes) put you at a higher risk for gum disease and physical conditions that affect your mobility will also affect your ability to properly care for your teeth. Armed with this information, your dentist can give you the best attention and the best counsel. The dentist will conduct an evaluation of your overall oral health, your risk for decay or disease, and whether or not you need intervention. This evaluation permits the dentist to help you avoid any serious problems in the future. 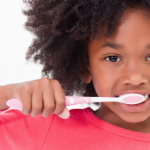 You’ll probably get x-rays taken, at least during your first dentist appointment. Why? To evaluate your bite, the integrity of an individual tooth, or the integrity of different structures. Damage to the jawbone, impacted teeth, abscesses, cysts, tumors, and decay between the teeth are not always visible in an oral examination. 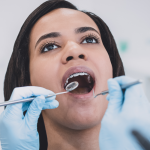 The dentist will conduct a thorough cleaning, scraping below the gumline to remove built-up plaque or tartar, and–in some cases–polishing or flossing. Why? To evaluate you better, and to prevent future issues. 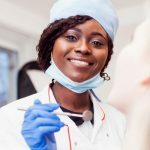 Although your experience might vary slightly from one dentist to the next, this is what you can expect at a general checkup at Penn Dental Medicine and most other practices. Before you schedule your first dentist appointment at Penn Dental Medicine, go to our website to get all the information you need on fees, records, patient rights and responsibilities, etc. Our blog also has detailed information on the various services we offer.